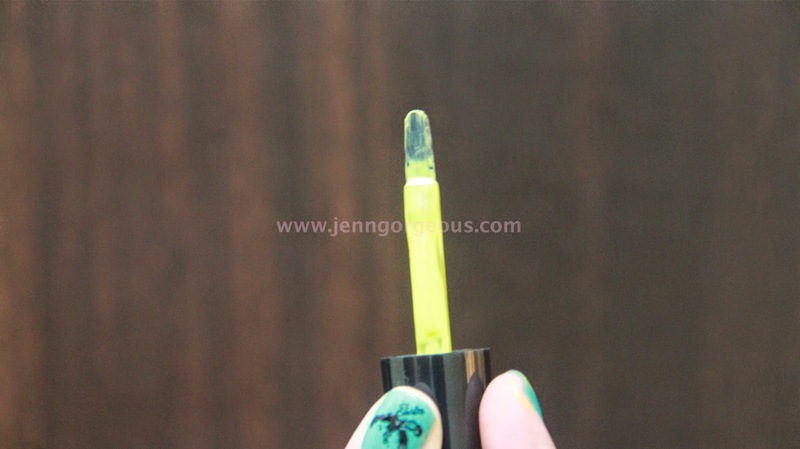 Sally Hansen Triple Shine Nail Tutorial + Giveaway ! Hello beautiful, I'm back with nail tutorial today, It's a beautiful Shine Summer Nail with a cute palm tree ! 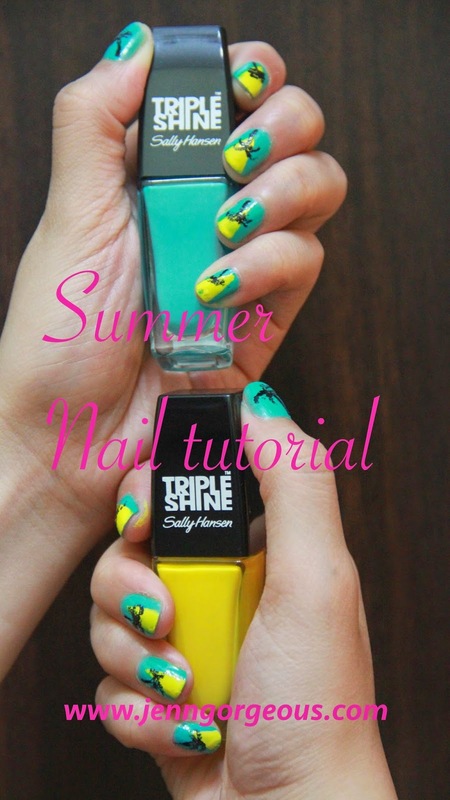 I'm using Sally Hansen Triple Shine nail polish for this tutorial. Go ahead to my video tutorial here . 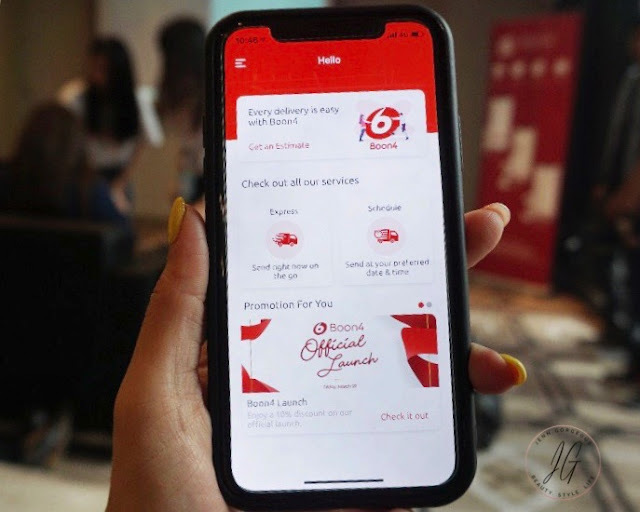 Do check out my giveaway at the end of this blogpost. You might be winning 2 Triple shine nail colour. I always wanted to have super shine nail colour so that people can notice my beautiful shining nail anytime ! I'm trying out this new product by Sally Hansen called TRIPLE SHINE nail polish. From the name itself, we know that it definitely gonna be a shining nail polish. I think most probably everyone know about Sally Hansen, but if you are not familiar with this brand let me tell your a quick introduction to it. This is a brand from New York, and they are No.1 nail brand in USA. One of their famous product would be the Hard as Nails protection and it's been over half century. You can find various choice of colour. They are at the price range of Rm13 - Rm50. It claim to creates Non stop shine. It contains Natural crushed pearls that deliver high impact, glossy colour. It also claims to daily defense from water and wear. It has 12 colour available now in Malaysia store. I'm in love with all the colours, don't you ? They come with opaque shine colour, pearly finish and also glittery nail colour. 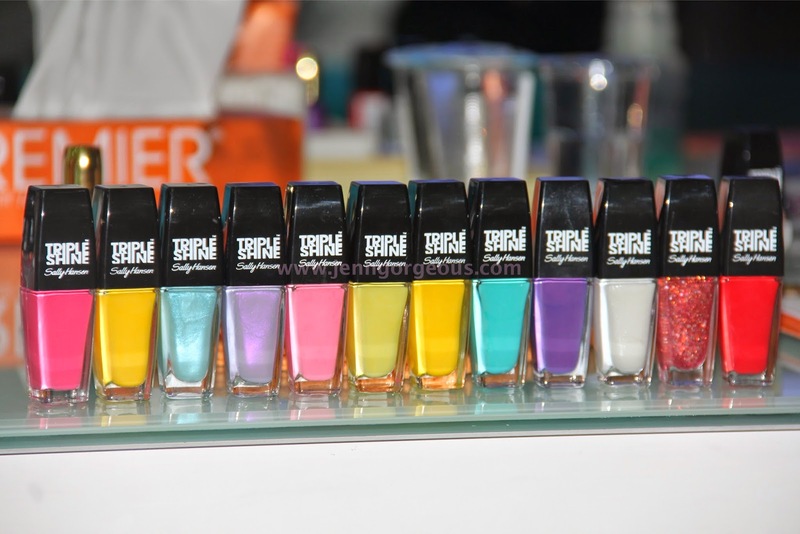 I have 5 shade of Triple shine nail colour and here are the swatches. Without top coat. I didn't edit or photoshop all of these photos. This is a yummy bubble gum pink, I put on 2 coats and the colour is buildable. You will have a sheer coat with just one coat. I absolutely loving this colour right now, you definitely need 2 coats of this colour. It's a little bit streaky but it does even out after 2nd coat. Lemon Shark I put on 3 coats to get that opaque yellow. The yellow is not neon but more of bright yellow colour. This is much similar to the lemon shar but it has more green to it. You will need 2 coats of this colour. It glides on easily on the nail. It contain very fine shimmer. I put on 2 coats and I think it's a bit streaky but can even them out with more coats. This is how the brush of sally hansen nail colour look like, they are patterned gloss tech brush. I think this brush is easy to handle while applying your nail colour especially it can spread wide and with the curve it makes it easier to paint the corner of the nail. 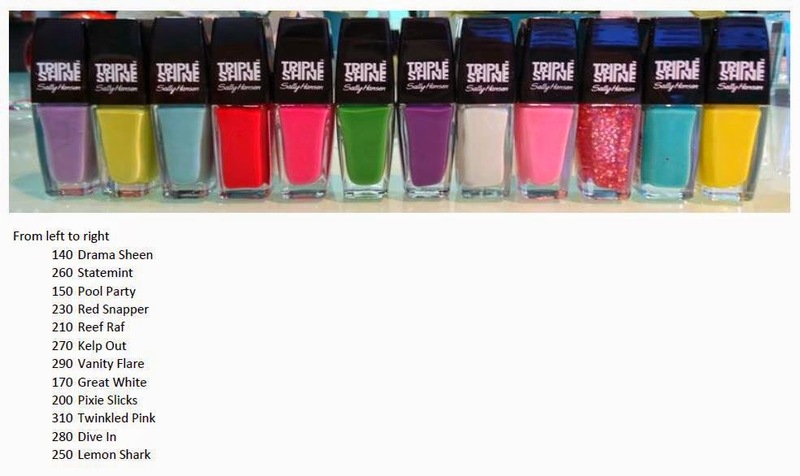 Do you want to get yourself Triple Shine Nail colour too ? They are now available at all Caring, Guardian and Parksons Nationwide. For more info check out their Fb page https://www.facebook.com/SallyHansenMalaysia/info . Hello beautiful, something for you here. 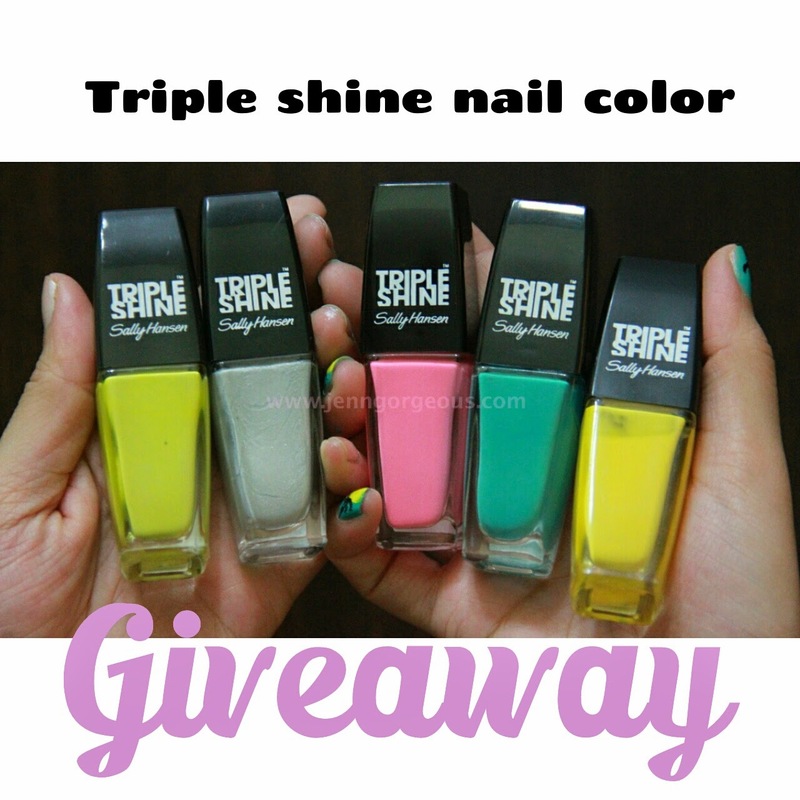 I collaborate with Sally Hansen Malaysia to giveaway 2 Triple Shine nail Polish for 2 of my lucky reader ! Choose which one you want ?